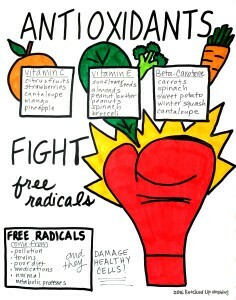 You are here: Home / Healthy Living / What does antioxidant mean? 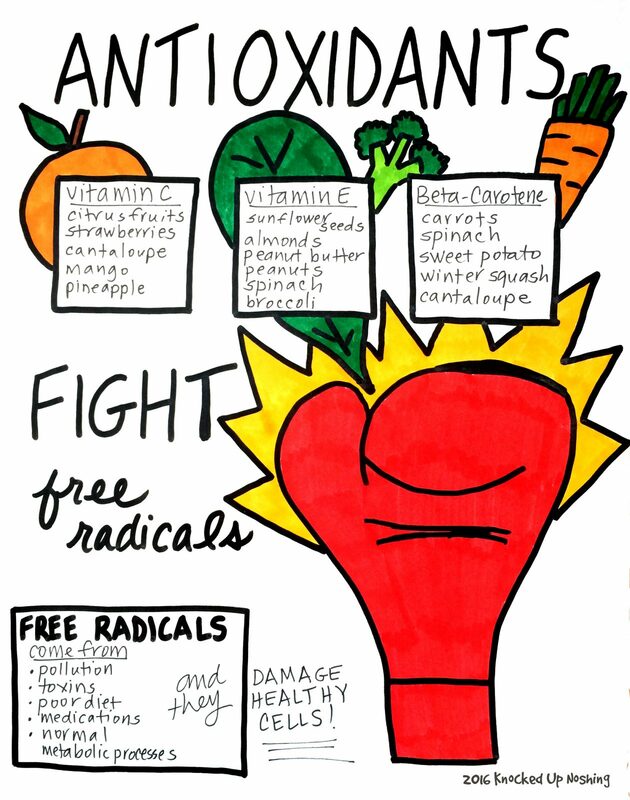 The good news is that antioxidants can help neutralize these free radicals so that they don’t damage cells and lead to disease. If your diet includes a variety of fruits & vegetables, chances are you’re already getting the antioxidants you need. As a general rule, antioxidants are found in the more colorful fruits & veggies. Vitamin C, vitamin E, and beta-carotene are antioxidants. Therefore, foods high in these vitamins will be high in antioxidants as well. Turns out that the advice given to kids (eat the rainbow) is good for adults too. Striving to eat a variety of colors of fruits & veggies will help us get the antioxidants we need to stay healthy.